Whether you’re looking to watch digital TV, want an easy way to watch on-demand shows, or want the added functionality of being able to pause, rewind and record shows too, then a set top box is the answer. Today’s set top boxes perform a range of functions. At their most basic they pick up HD digital TV signals, provide you with easy to navigate TV listings and offer instant access to on-demand catch-up TV services like BBC iPlayer and ITV Player. Many set top boxes also enable you to pause live TV, rewind to bits you’ve missed, and record loads of your favourite shows on sizeable built-in hard-drives – our Humax set top boxes offer up to 600 hours of recording. Most set top boxes offer Series Link functionality – which means you can record an entire series at the touch of a button so you’ll never miss an episode of your favourite shows. 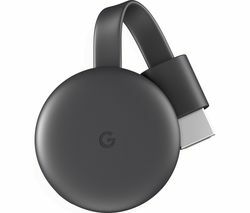 Connecting to your TV via HDMI or scart, and to the internet via Ethernet or WiFi, smart connectivity means you can access the likes of YouTube, social media, Netflix streaming and more on your TV. 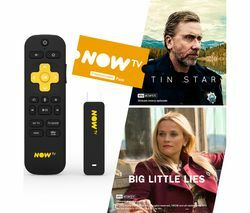 Plus with Now TV you can even get weekly or monthly passes to Sky Sports and Sky Movies. If you’re looking for a digital TV solution, set top boxes are now so much more than just receivers. They allow you to access the web, record in seconds, and store the shows you love.